These are overviews of the most common alternative sleep schedules, and not detailed guides. Please follow the link and read the appropriate adaptation guide page before attempting any of these schedules. Also keep in mind that these schedules are not set in stone and many people choose to customize them to their needs. 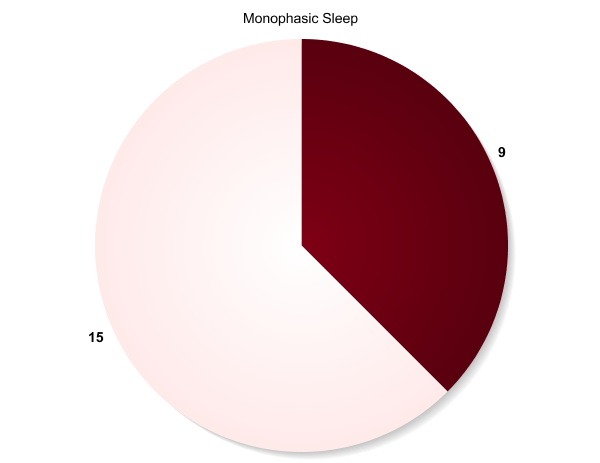 Monophasic is pretty much the most common sleep schedule in the world. Monophasic sleep essentially consists of sleeping once per day, usually for between 7 and 9 hours per night. Monophasic is not the best way to sleep contrary to popular belief, but instead it is a byproduct of the long work hours of the industrial revolution that has remained a cultural norm even as work hours have shortened. Segmented sleep is considered the most natural sleeping pattern according to common scientific literature. It consists of two sleeps, both at night time, first going to sleep at dusk, and secondly waking at dawn, synchronized with the local lighting patterns, sunrise and sunset. If a person changes their sleep from monophasic sleep to segmented, then after some acclimatization they will experience a change in hormone regulation, energy metabolism and a profound mental clarity throughout the day, and the middle of the night. 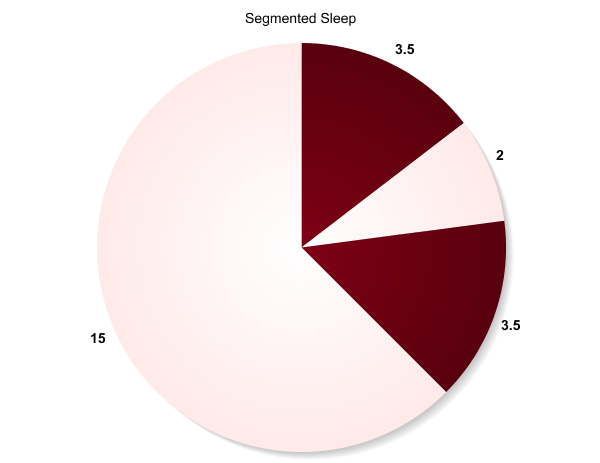 A Segmented Sleeper typically sleeps between 6 and 8 hours a day. The siesta sleep is very common in Spain, Germany, and various other European countries. Spain specifically closes shops in the middle of the day for a few hours so that people can go home for lunch, napping, and other quiet activities. The siesta schedule consists of 5-6 hours of sleep at night and a 20 to 90 minute nap in the early afternoon. This form of sleep matches with our natural Circadian rhythm, and is commonly known by scientists to be healthier than monophasic sleep, with the short nap increasing productivity and alertness during evening hours. A biphasic sleeper typically sleeps between 5 and 7 hours a day. 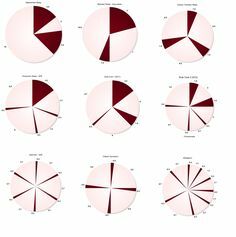 Triphasic was coined and made popular by Leif, and is an efficient and simple schedule. There is little adaptation involved in a change from monophasic sleep to this schedule, and 3 to 5 hours extra are gained each day. The reason for its ease of adaption is that, similar to biphasic sleep, it aligns with the Circadian rhythm, with a nap after dusk, a nap before dawn, and a nap in the afternoon. 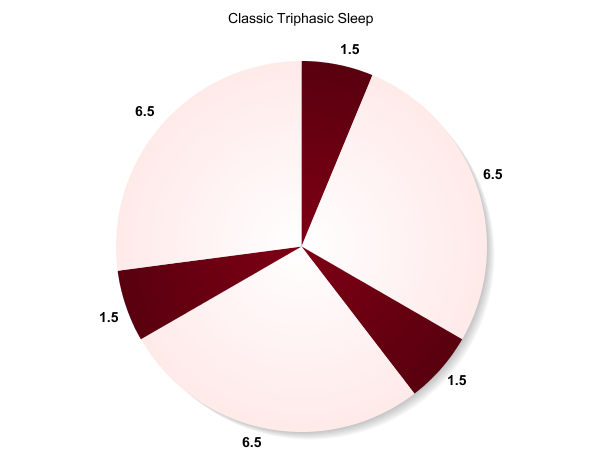 A Triphasic sleeper typically sleeps between 4 and 5 hours a day. 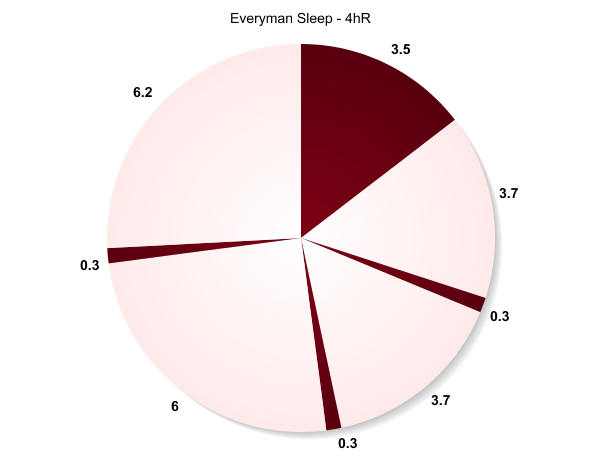 The Everyman schedule is the most successful reduced-sleep schedule to date, it is constantly increasing in popularity, and people have achieved it without compromising their current health. While monophasic, biphasic, and triphasic schedules are all Circadian centric schedules, Everyman schedules rely on both Circadian and Ultradian Rhythms. This makes Everyman schedules have a significantly more difficult adaptation period than all of the previous schedules, as the consistency of times between sleeps matters much more. That being said, Everyman is still significantly easier than any of the nap-only schedules. Everyman schedules include Everyman 2 (E2) which is a with core sleep between 4.5 and 6 hours and two 20 minute naps; Everyman 3, with a core between 3 and 4 hours and three 20 minute naps; and Everyman 4 with a core between 1.5 and 2.5 hours, with four 20 minute naps. 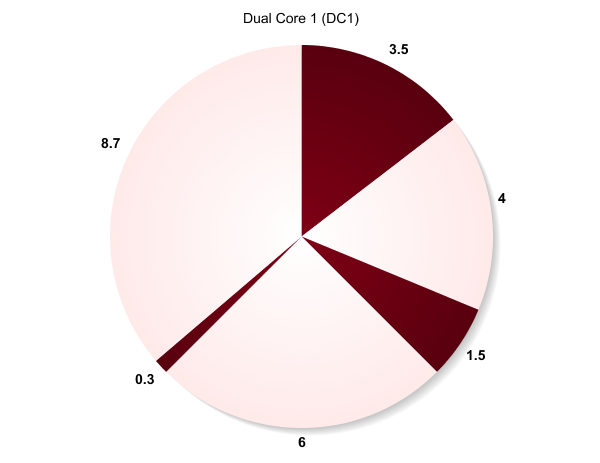 Dual Core sleep is a derivative of the other schedules but with a core sleep around dusk, a core around dawn, and a number of naps in the afternoon. Dual core schedules can have the benefits of both segmented sleep and siestas and so is theoretically very healthy. DC1 is two cores totalling about 5 hours sleep, and one nap in the middle of the day. DC2 is two cores totalling about 4 hours sleep, and two naps throughout the day. DC3 is two cores totalling about 3h sleep, and three naps throughout the day. 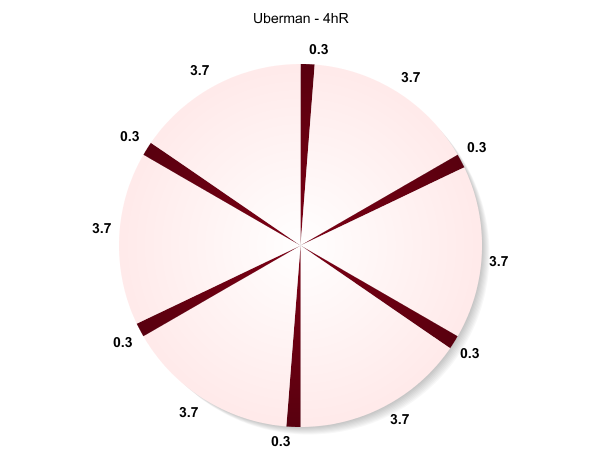 Uberman is the most commonly attempted, and most failed of polyphasic schedules. This is largely due to a misunderstanding of the difficulties associated with its adaptation period. Uberman is the most well known nap only schedule, and is an extension of the Everyman schedules, to the point of getting rid of the core sleep entirely. While Uberman is extremely difficult, it can have great benefits by increasing the amount of time in a person’s day drastically. An Uberman will have 6 or 8 x20 minute naps a day, with total sleep time ranging from 2-3 hours a day. 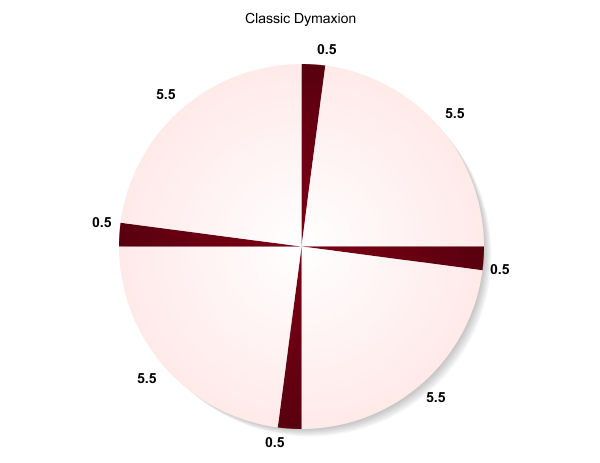 Dymaxion is another popularly attempted schedule, although its difficulty is even greater than Uberman, to the point of being nearly impossible. It’s predict only the genetically mutated DEC2 gene ‘very short sleepers’ can be successful following such a schedule, which would includes far less than 1% of the world population. The Dymaxion schedule was coined by Buckminster Fuller, and involves sleeping 4 times a day for 30 minutes. Even though the Dymaxion schedule does not increase available awake time any more than Uberman, it is prized for the increased convenience to the person’s social and work life. 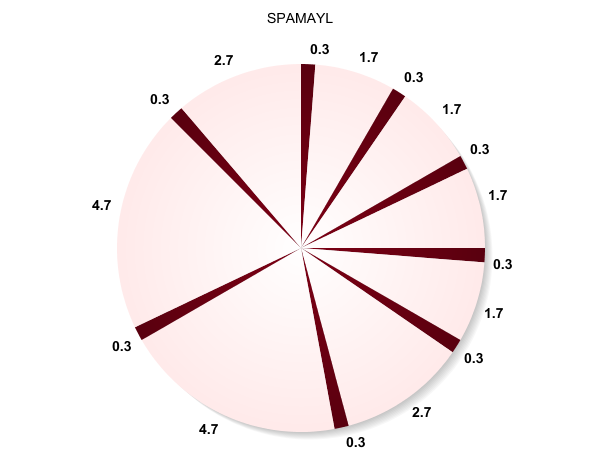 SPAMAYL is the younger, fresher cousin of Uberman. SPAMAYL stands for Sleep Polyphasically As Much As You Like. SPAMAYL was coined by Rasmus, and so far it seems he is the only person to be successful long term. While Uberman has a sense of extreme rigidity, SPAMAYL takes in extra sleep for extra flexibility. SPAMAYL is more flexible than Uberman, in that Rasmus could move things around for social events and a SPAMAYLer can expect to take no less than 7 naps a day, and often need as many as 10. Rasmus usually get between 2.5 and 4 hours of sleep per night. Pingback: How I’m Gaining 3.5 Extra Hours Everyday | Fahrig Co.
i have extreme difficulties sleeping. On good night I get 4-5 hours. No amount of “sleep hygiene” helps. I’m terrifed of medication side effects. I’ve have horrible side to other meds, I can’t get myself to take anything now. All my life I get wide awake at night. I’m usually not sleepy till two or three in the morning. And a lot of those I wake back up because of noise, I am a very light sleeper,. If I somehow manage to get to sleep before 2 am my sleep is very restless and I toss and turn. But the absolute worst is this: I finally got a job after years of being out of work..but the bad part is I could only get a morning shift. I have to get up at 6 am not being able to sleep well has made me extremely anxious when I go to bed, I worry I won’t sleep, Then it’s starts a vicious cycle. I can’t sleep I know I need to sleep. So now I get anywhere from 2 hours of sleep to none at all. I have family to take care of, shopping, chores, cooking…..I might get a 2 hour nap some days but the lack of sleep is profound, and extremely affecting all areas of my life. I’m in physical pain from lack of sleep It’s a living hell. I know there are natural ways to sleep better without meds, and sleep clinics, but I don’t know how to go about finding them. Where can I get some help? I’m a 44 year old woman, I live in southeast Michigan. im a student and currently aiming for my exams. i did the everyman last year around a 3 hour and later on 4,5 hour core sleep. It kinda worked rly well but i couldn´t take my naps everytime i wanted to do durign the day, because of the sessions at the unversity. My body woke up on it´s own. And right now i just adeptet to it and i feel great. It´s kinda semi-sleep then similar to takign a nap. Whatever basicly i sleep every day 21-24 cest and 4am-7.15am. Those 4 hours peace at night feel great to rest or to do everythign i like to do. I guess you could do the same by doign it 1 hour earlier so you get up at 6 am. Btw at the beginnign i figured out that 4,5 hours are the best core sleep for me. btw you could use those 4 hours at night to watch a film, read a book, spend some time with your husband etc. How about 4 naps of 90 minutes for a total of 6 hours? I read that a 90 minutes is a complete cycle of sleep. Has it ever been tried? It seems to me like a more realistic version of the Dymaxion sleep offering more hours overall and better quality of sleep for each naps. Would this work for frequent travellers? For example professional pilots? Does the software account for a change in timezone and the ‘body clock’ not being in sync with this? Is it important how looks your activity in the break between segmented sleep phases? two hours in the night – mental activity? physical one? resting? eating? doesn’t matter? I do not sleep well, I sleep hard for two or three hours and then I am awake again for a couple of hours. When I finally go to sleep and awake in the morning I am exhausted, causing me to want to sleep more are there any suggestions for me, why am I always still tired. do these time blocks include the amount of time it takes me to actually *fall* asleep. I bet that would require more time during the day. I get up to go to work at 2:15 am. I get home around 11:30 am. So I usually go to bed at 7pm. But two days a week I have to stay up to 10pm. And often on the weekends I want to stay up later. So how about two segments of sleep – one at 3 to 4 hours from around 10pm to 2am, and the other from 11:30 am to 3:30pm? Bob, this is almost exactly what my work schedule is going to become in a few months (2a-11a), and your idea of sleeping in two larger chunks right before and after work is one of the options I’m considering. I’m currently also leaning towards trying out a modified “Everyman.” Have you decided which way you’re going on this? Looking for some advice and insight. Anything helps! 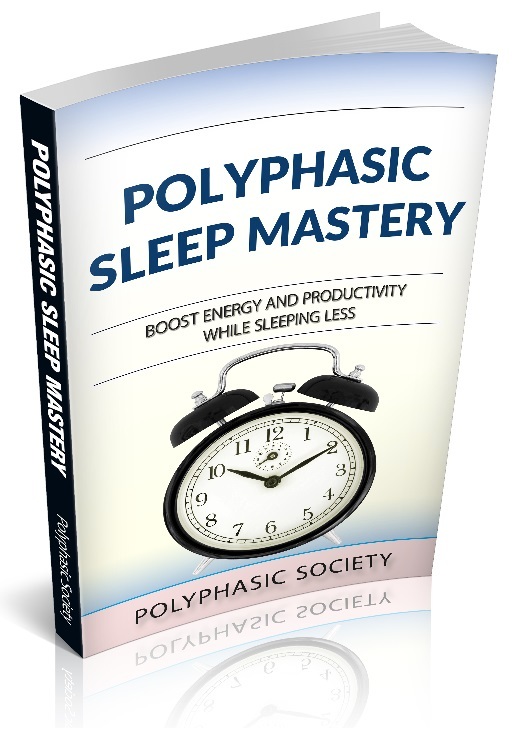 Kathy – alt polyphasic sleep is all about there not being one way to sleep. Don’t fret over your way of sleeping, use it in a more productive manner. Phillip-right on. Although I find that even with the freedom to practice these techniques that allow one to gain hours of ‘waking day’ should expect that a majority of that extra time will be spent mostly being productive and alone. Not always but fairly reliably common. It’s like you move faster than others in productivity, especially the more I practice. That said, I do find it hard to return to monophasic sleep after altering into polyphasic sleep patterns. Something a non practicing partner might have desire for on occasion. So realize this is a life style choice akin to being vegan. Micz – yep. It’s really important to align those system process vectors of the human bodily operational requirements to the ‘consciousness experience of reality’ or else one could do serious damage to the ‘human corpus’, ‘brain activity functioning’, and/or the individual’s ‘consciousness cohesiveness’. Liew – in the case of frequent travelers that experience time zone (potential sunlight exposure) shifts, I would imagine the larger the shift between fully rendered body-mind&soul synchronization full cycle periods the harder it would be on the adaptation. Maybe it’s why so many fail? Because it’s not just about sleeping, it’s also about your body-mind operational processing demands and the ‘personal consciousness’s’ experience. Ade – sorry that is tough but work with your sleep instincts and not against them. You might also require alteration of social interactions and dietary ingestion patterns to accommodate your alternative polyphasic sleep adaption. Maggie – the skill (of which we all have a varying degree of natural talent for) that is being horned during the adaptability period is that of being able to send your body to sleep when given the opportunity instantly (30-50mins increments or larger ‘core chuncking’. Thus why it mentions the frequency of people achieving is mentioned in terms of high difficulty. But it’s not impossible. Being a light sleeper I think has its advantages verses those that require heavy stimulation to become awake as instant sleep is actually easier than controlling the sleep termination process of awaking, imho. Anyway, while high skill in both should theoretically allow for adoption of polyphasic sleep method to blend and optimize to waking concerns, one must remember that our bodies have clocks tied to involuntary bodily processes associated with sunlight and timing of biochemical metabolic processing that must be considered and respected.. (time stretched to nodes and agents across clouds of time networks :p). So I wouldn’t recommend method shifting any quicker than monthly or if running for us president maybe bi-weekly. Does it matter where I start with the schedules? For example does Siesta work if i sleep 6 – 11 and 18 – 19:30 ? Does the sun play a big role too? I work 5AM-2PM so I sleep for 3 hours (3PM-6PM), wake up for 5-6 hours and then sleep from 11PM or 12AM until 4AM (4-5 hours). It has worked wonders for me and my body naturally adapted to this schedule of sleep takes a day. Would it be possible or does it make sense to modify the triphasic sleep too a 3h core sleep from like 4am to 7am and taking two 1h naps at 4pm and 10pm? 1 hour naps are not a good idea. You fall too far into the REM cycle and will mostly wake up groggy. If you are going to nap, the ideal nap time is between 20-30 minutes. I am taking 18 min naps and I still wake up groggy mate. Can I create a polyphasic sleep schedule that’s not based on a set nap time. So instead of every six hours, I just go to sleep for one hour when I’m tired. We are different animals, and live in utterly different environments, we need not worry of wild animals eating us. health isn’t the only thing that goes into sleep schedules. Who gets the luxury of any of these besides monophasic…..we sleep at night in a chunk because we have work and/or school and/or a family. Not because we “choose” to. Most of these conform to regular work and school schedules. I would suggest deeper study before you judge. I’ve been trying just biphasic for 4 months or so and have been facing gastric issues for the first time of my life, I thought I was un touchable by those issues when I doing monophasic. Any one else seeing such issues? My physician adjusted the diet a bit to fix the issue, but still I do see some issue. Any one else seeing this kind of issue? I wish to try triphasic sleep, is this the best option for a school goer? My schedule is terrible. Monday: school 12-2, work 3-11. Tuesday: Work 7- 3 Wednesday: school 12-2, work 3-11. Thursday: work 7-3. Friday: class 9-11 work 3-11. Saturday: work 6-3. And im constantly tired. Especially on the nights and mornings that i work late and then come in early. And i never seem to be able to sleep enough or when i need to sleep, i cannot sleep. Ive been hoping to find a new sleep schedule to work with me. Hi I woud like to know your opinion on my sleep. I have my core at 23:30-3:00 then first nap 6:00-6:20, second 9:30-9:50, and third 14:35-14:55. I am doing this for week now, but still sometimes its hard for me to wake up. And stay awake durning before dawn time. Before I had 02:00-6:00 first nap 9:35-9:55, second 14:35-14:55 and third 22:00-22:20. But I think i didnt had so much rem, as I do know and on other hand I was very tired 1 to 1,5 hour before going to core :/ . I like my current sleep patern, but I am not waking so smootly like in my previous one. So I would like to avoid needing to nap during my usual 8-5 work day. I need to leave home at 7:30 and will get home before 6. I was looking at the Everyman 4 schedule but wasn’t sure if it would be likely to fail if I would try to not sleep at all between 7:30 a.m. and 6 p.m. That is a long stretch with no rest it seems but maybe there is a different polyphasic schedule that could work well that I am not seeing? Or would I be alright to put in the 1.5 to 2.5 and 4 20 minute naps just between 6 p.m. and 7:30 a.m. then run for those 10+ hours without any naps? The specific duration of the sleep and the placement of the sleep blocks are according to your schedule right? 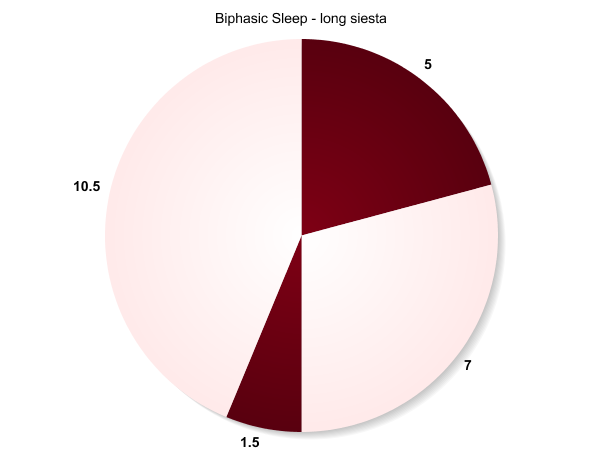 I would like to do biphasic, but one chunk would have to be 4.5 hrs sleep, 4.5 hrs awake then 2.5hrs sleep. Its slightly different than what the graph shows: 3.5 sleep, 2 awake, and 3.5 asleep. I suffer with severe bipolar type 1 disorder, and I am being drawn to the uberman type of sleep schedule, to put some order in my life. I have so much mental energy but I am lacking physical energy, I think because I am getting my sleep at the wrong time and for the wrong amount of time currently. If I want to do the uberman sleep cycle, do I just start immediately or is there a process that lead. I cannot control my sleep time.I always wake up after the o’clock ring.